Man, what a day! 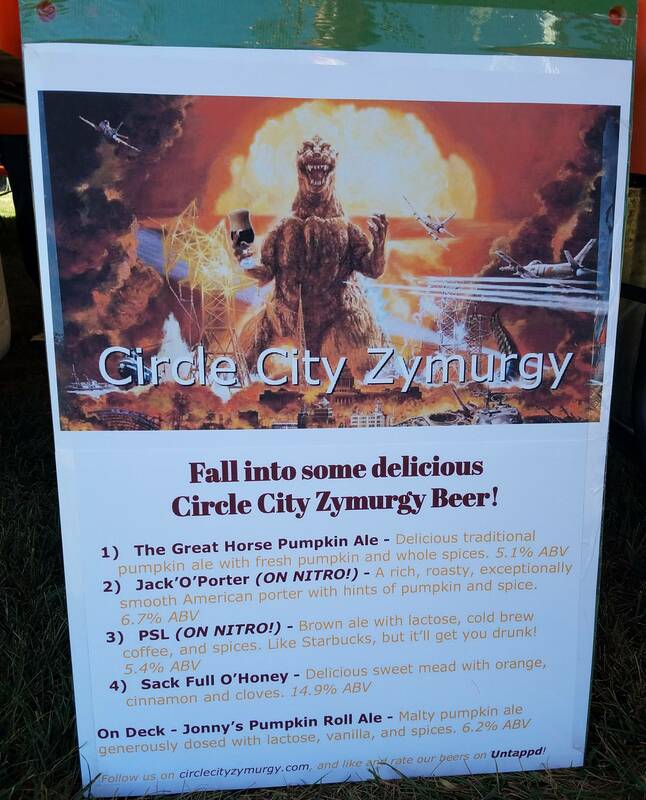 Circle City Zymurgy had a great time at Union Jack’s Pumpkin, Cider, and Fall Beer Festival. The event was completely sold out and had about 650 attendees. 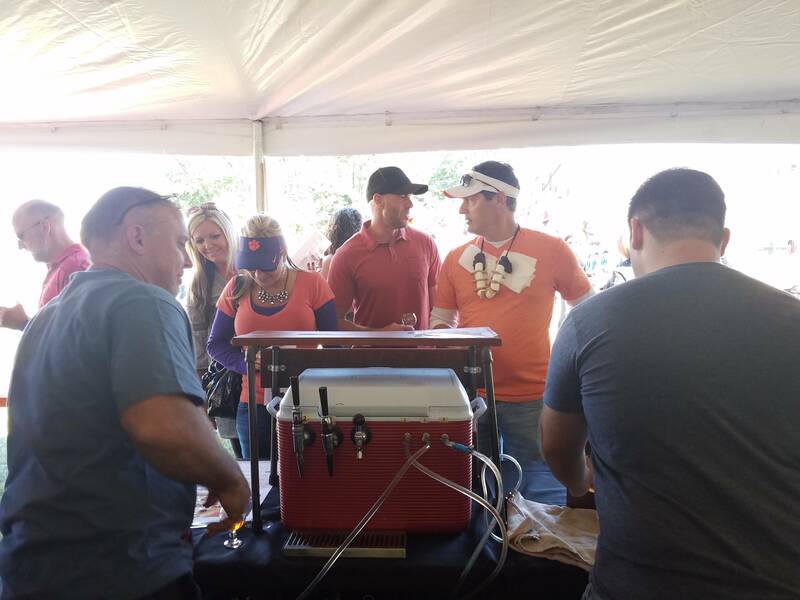 There were around 40 different vendors pouring delicious beverages with a total of 76 different, unique beers being poured. CCZ had a great presence at the festival. Along with myself, other attending members were Steve Kent, Wes Martin, Jeremiah Tyson, and Allen Brown. We brought 5 kegs of homebrew. 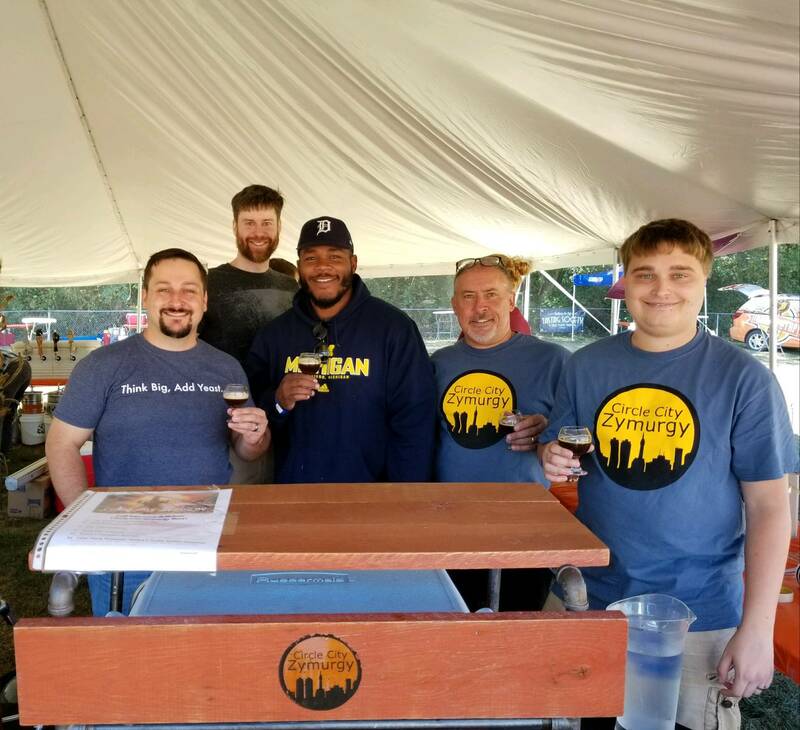 Wes brought his “Great Horse Pumpkin Ale”, Jeremiah his “Jack ‘O’ Porter (served on nitro), Steve brought his PSL – also on nitro, Allen had his near 15% mead, and we had Jonathan Marting’s Pumpkin Roll Ale. There were a total of 9 homebrewers that attended and we were all right next to each other. As you could imagine, we had great conversations discussing the hobby we love. 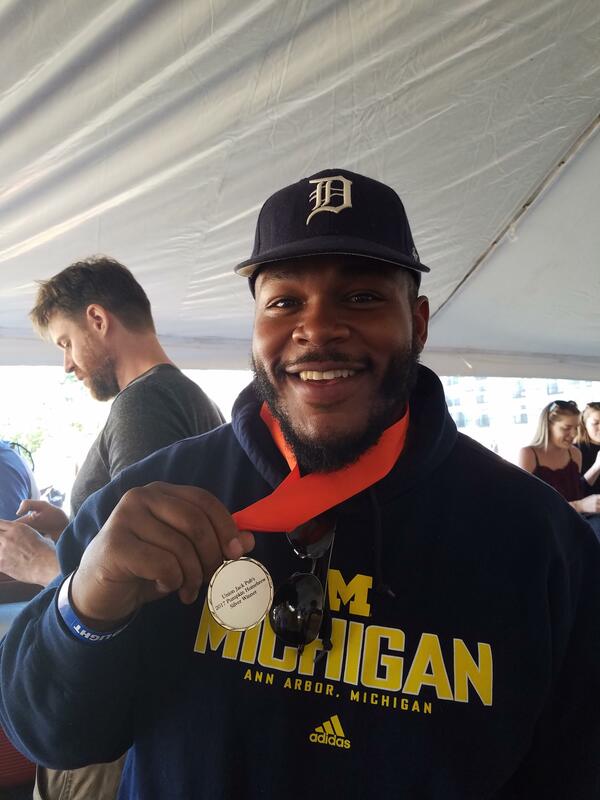 This year, Union Jack also held a homebrew competition with the winner receiving a $100 gift card to Union Jack. A big congratulations is in order for our member Jeremiah for getting 2nd place for his Jack ‘O’ Porter! The festival itself was a great time. We really could not have asked for a better day. The weather was perfect and really gave an exact feeling of what Fall is all about. As soon as you walked in you were given a choice of two neat glasses that you get your beer poured into. The festival had plenty of great food to keep you going during your beer trek. A few vendors such as Indiana on Tap were there as well supporting the hobby and offering free or discounted offers. Elysian Brewing, based out of Seattle, Washington, had a great presence as well. They had their own little area where 6+ of their beers were served. Each of theirs had its own unique style and taste as well. With a big name like Elysian, I definitely had to try them all. In conclusion, this was a very prosperous event for Circle City Zymurgy. I heard multiple attendees surprised that our beer was homebrewed, expecting it to be made at a professional brewery. I also had a few people walk up to me after seeing my shirt and asking where our beer could be purchased. You can’t get a much better compliment than that. This will definitely have to be an annual event for CCZ! Nice write-up Trey. For those that weren’t there, it was awesome the amount of people who kept coming back to our booth and telling us “You guys have the BEST BEER HERE!”. It was a blast, and great to get that kind of feedback from the public!